Sepio demonstrates just what can be achieved in a small retail space. 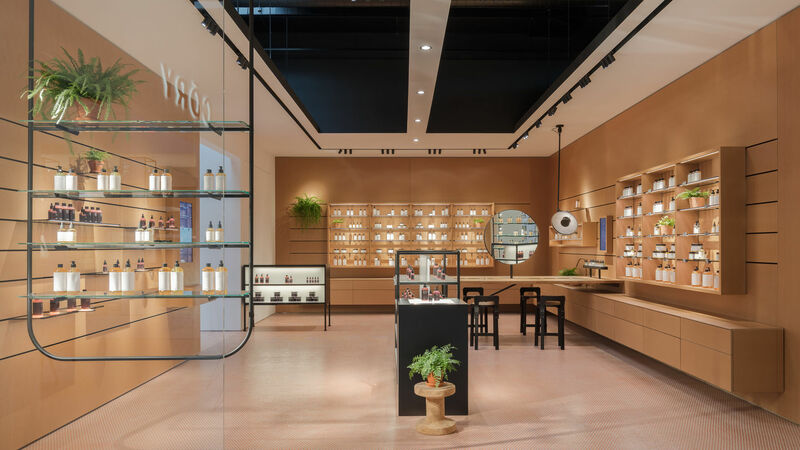 Customers enter a store designed in natural oak and terracotta colours, whose interior is visually in harmony with the natural cosmetics on sale. 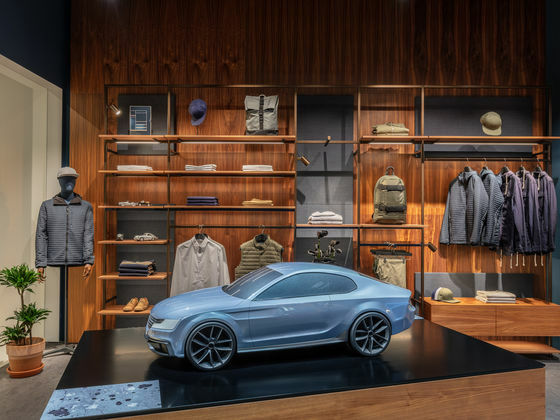 The shop window draws the eye with a merchandise display suspended from the ceiling. A powered gondola unit with promotional spaces is located at the entrance. Customers expect comprehensive advice in the cosmetics sector in particular due to the plethora of specialist products. When an item is placed on the beauty bar, a sensor recognises the product. The counter top features a series of small cubes containing the different ingredients, which light up if contained in the identified product. Once customers have made their choice, a digital box serves as a checkout. The Sepio store uses a neuromarketing technique: the space is sprayed with tiny amounts of a subtle fragrance that was specially developed for the brand.